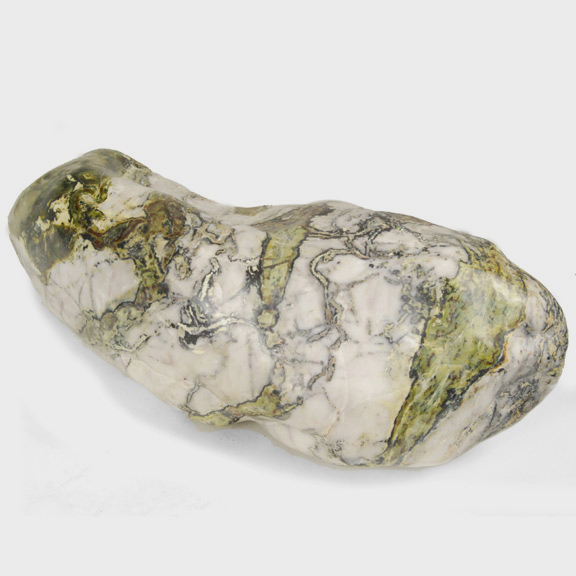 W: 31.5" D: 25.25" H: 1.75"
Greenery stones are named for the naturally occurring patterns suggestive of trees, grass and other plantlike forms that result from the stone’s conglomerate mix of jadeite, moss agate, serpentine, among other minerals. 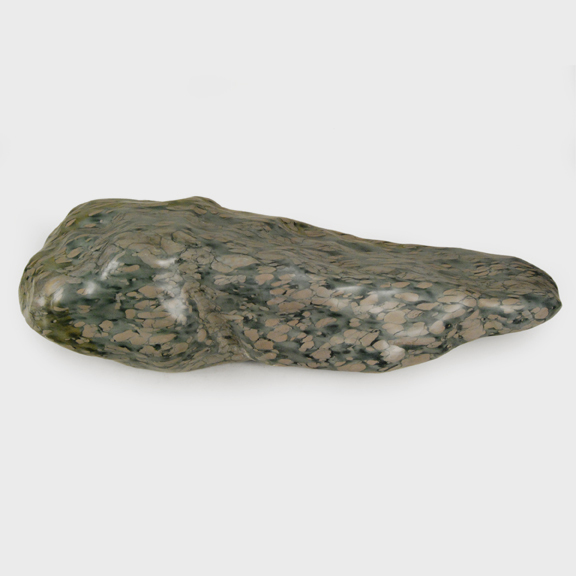 Found in China’s Liaoning province, the stones, also known as meditation stones, were displayed indoors and appreciated by Chinese scholars and artists from as early as the Yuan (1279–1368) dynasty. 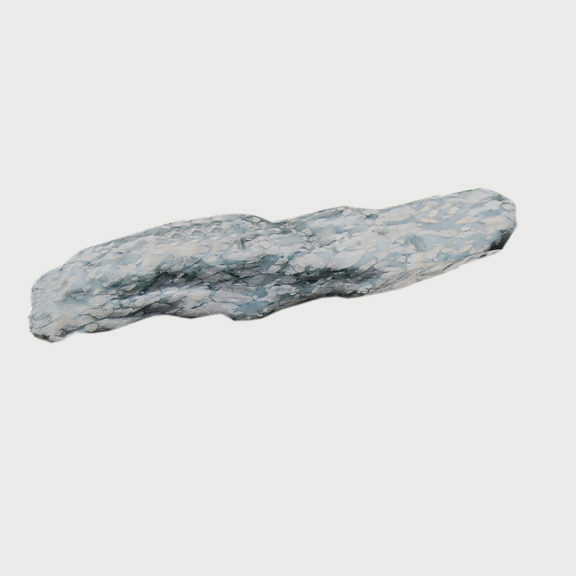 Connoisseurs seek out stones with unusual strokes and sweeps, subtle imagery, or forceful motifs that evoke the grandeur of nature or suggest dreamlike states. 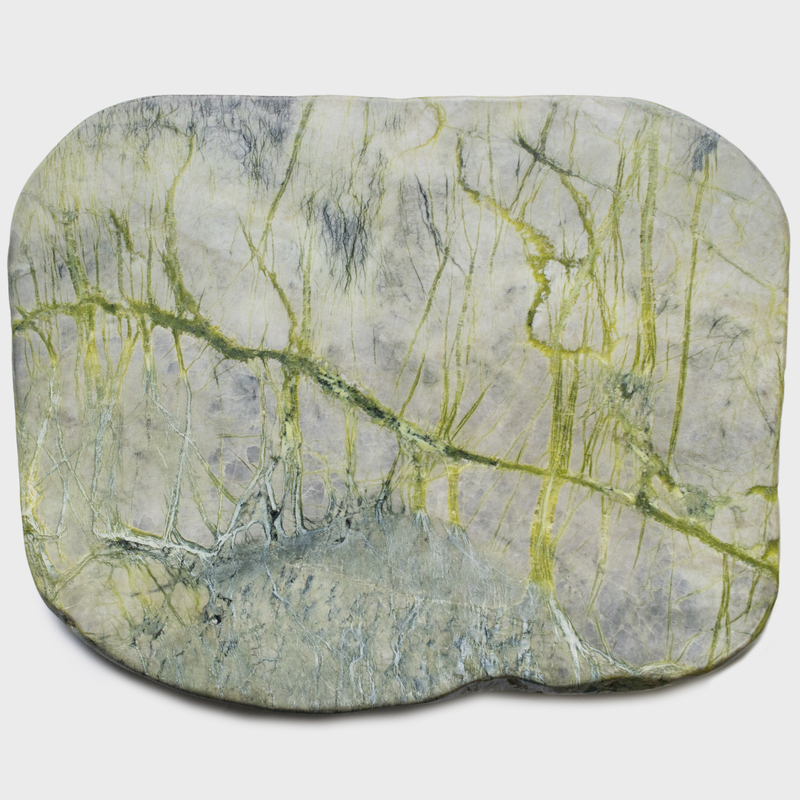 Not unlike modern Western abstract art, each stone is open to interpretation and can be appreciated for the beauty of its form, color and texture. 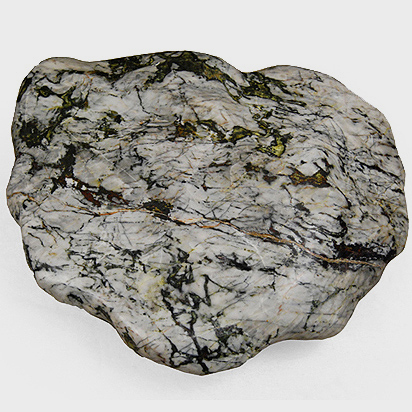 The scale and durability of this stone make it a uniquely ideal serving or display surface.